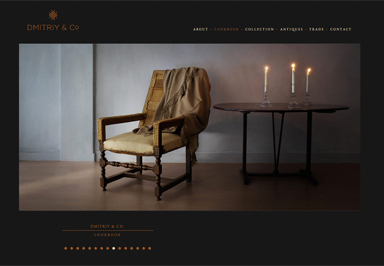 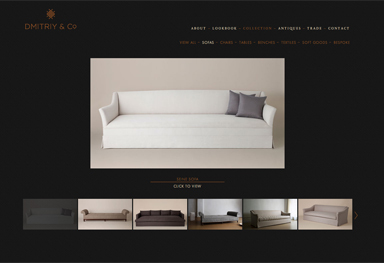 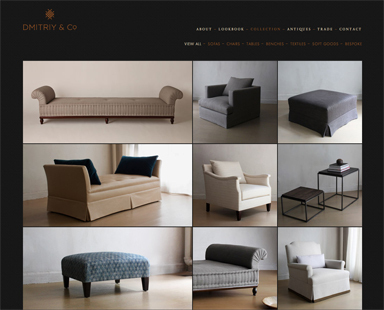 We have launched the new website for New York furniture design company, Dmitriy & Co. 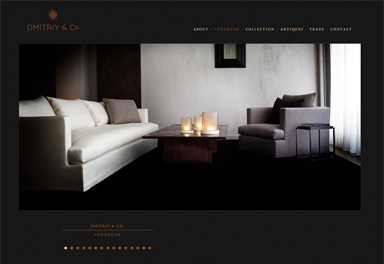 The Dmitriy & Co brand is one of sophistication, elegance, luxury and craftsmanship which transcends across all the furniture and antique collections. 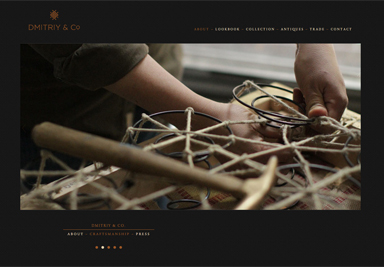 We worked with a meticulous attention to detail to ensure the brand values were reflected and sympathetic through an online presence. 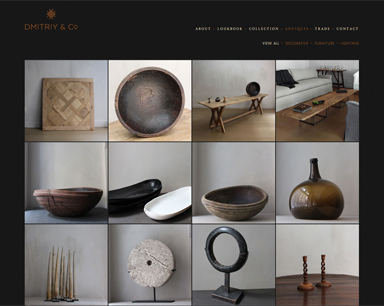 Dmitriy & Co, a collection of made to order furniture, timeless European antiques, accessories and decorative objects for the interior. 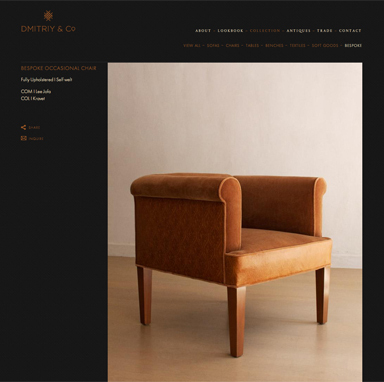 Designed and exquisitely crafted in their New York City studio, the furniture is meticulously built by hand in accordance with century old upholstery techniques. 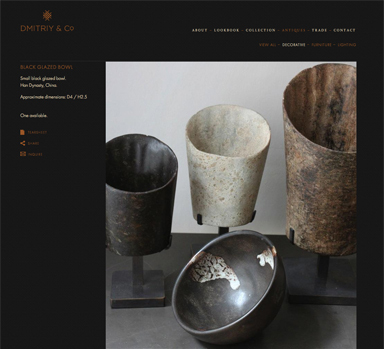 We are currently working on both online and print campaigns to enhance the Dmitriy & Co brand. 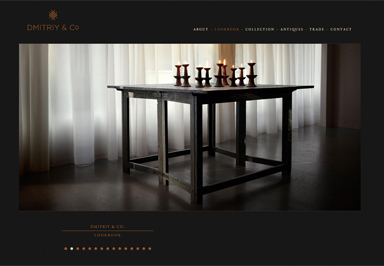 If you appreciate design that is thoughtfully considered, crafted to perfection and believes in traditional methods, then absorb yourself in the Dmitriy & Co experience.